The current newsletter themes are victory and breaking conventions. Many of us are trying to break free of old concepts and limitations that hold us back from fulfilling our destiny and living life to the fullest. 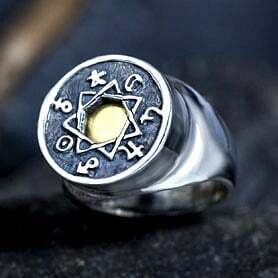 The first designs, which were made exactly for this purpose of breaking free, are the victory ring and pendant. They contain my special victory secrets list (see the product description on the website). 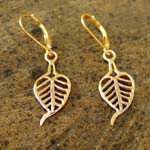 The Jewels are designed to inspire and encourage us on the path of self - fulfillment. The second jewel is a unique charm that can be made only once in 84 years. This piece was created at the exact time when Uranus entered Aries. 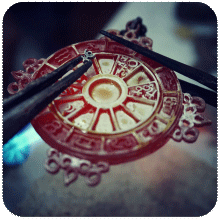 This talisman represents: rebellion, freedom, creativity and genius- only 9 pieces were assembled! 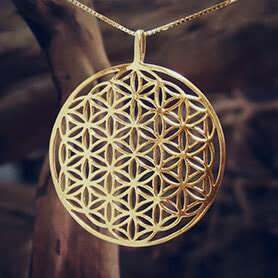 The last piece is the cosmic zodiac - a representation of the 12 constellations in combination with the dodecahedron structure. 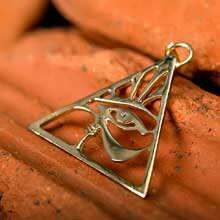 The pendant represents the hidden laws that exist beneath what we experience as "reality"-it gathers all the different cosmic forces. 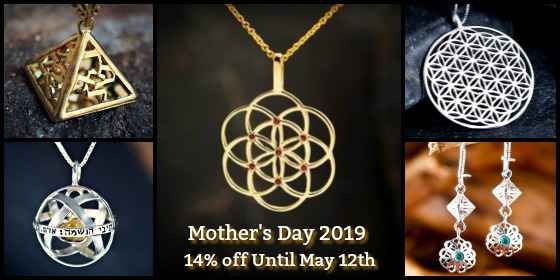 The current forging of this pendant was done at the time of the solstice in order to "capture" the life force at its peak (only 16 pieces were assembled). I wish us all courage, wisdom and lots of inspiration. 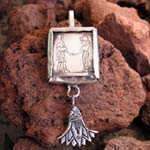 This month we are giving you a 12% discount on the new designs (related to the zodiac). The sale is valid until 30/6/2010. You don't need any coupon, just go ahead and place your order through our website to enjoy the discount!. 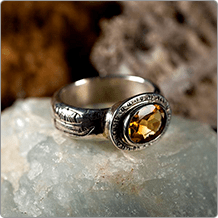 Victory pendant and ring – "Dare to be great"
At the center of the pendant appears the symbol of Victoria – the goddess of victory. 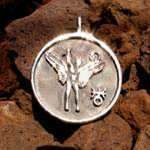 On the back of the pendant (or sides of the ring) is engraved the sentence – "Dare to be great" selected from a quote contest on Facebook between my fans and friends. The Ring and pendant are made to inspire you on your path to victory and success. 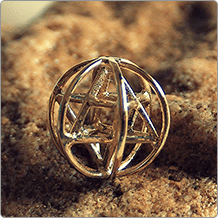 The structure in this pendant is called a Dodecahedron – one of the five platonic solids. 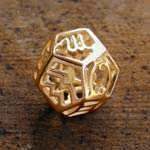 Some scientists now believe that the universe has the structure of a Dodecahedron. 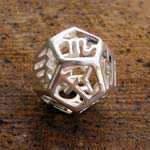 The Dodecahedron has 12 facets which parallel the 12 signs of the zodiac. 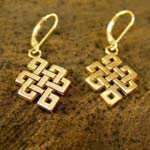 The pendant represents all the powers of creation and the cosmic perfection. 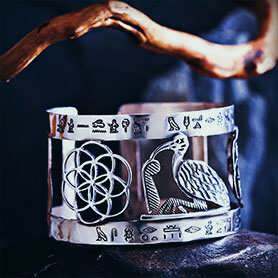 It is made to give the wearer a direct connection to the different cosmic forces and the ability to connect with the unseen reality. The Uranus pendant was assembled on May 28th between 5:15 -6:10. There was enough time to create only 9 pieces (I made one for myself...). This specific time was chosen because Uranus entered the Aries ingress. Aries is the beginning of the zodiac and Uranus started a new cycle of 84 years, in which it will pass through all of the zodiac signs. Uranus represents the principles of change, rebellion, freedom, liberation and revolution. It brings creativity and awakening to the world. 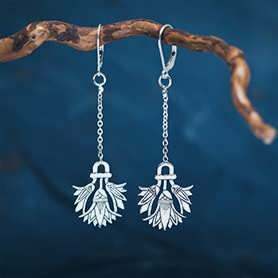 After many years I have finally decided to open an earrings section. 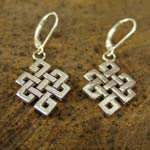 I have adapted a few models into earrings such as the Tibetan Om, Hung, the Tibetan knot and the Buddhi leaves. 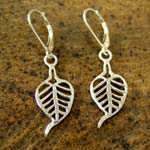 There will be many new designs in this section –I hope you will like them. Made on the 21th of May between 12:450 to 13:28.